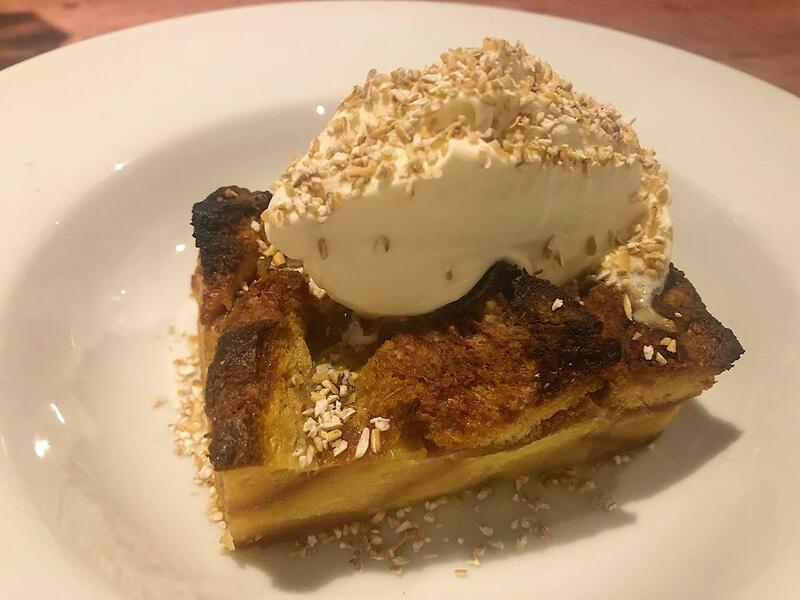 One of my first experiences of 99 Bar and Kitchen consisted of flames, icing sugar and lots of rum – but that’s a whole different story. With this popular restaurant participating in Aberdeen Restaurant Week, I was intrigued by the offering of Scottish tapas on the menu. Now, tapas isn’t something you necessarily associate with the north-east, or with Scotland for that matter, but following my visit, I can say it definitely should be. Heading along with my friend in tow, we both ordered a margarita and took a seat at our reserved table. The service is pretty informal and the bar is rather laid back, which I like quite a lot. 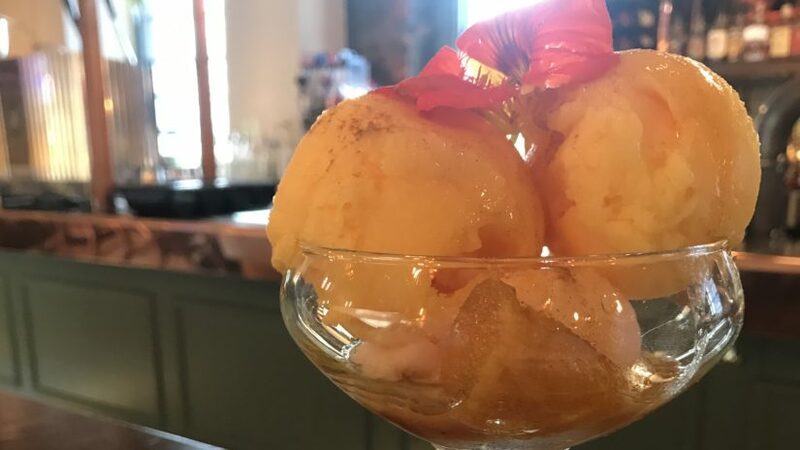 There are no unnecessary frills and the drinks and food do all the talking – well, I’m sure the staff do plenty of it, too, working in a bar and all. It’s a casual space with a cool vibe, serving up some of the best drinks in town. The margaritas were very well received. Scanning the menu, it took me forever to decide what I wanted. Wild haggis spring roll? Battered coley goujons? Beef stovies croquettes? The choices were endless. Eventually I decided, with some help from my friend. We patiently waited for our tapas while gossiping over yet another margarita. My mum always told me good things come to those who wait, and she couldn’t have been more right in this instance. The small plates all arrived pretty much back-to-back and filled the wooden table. 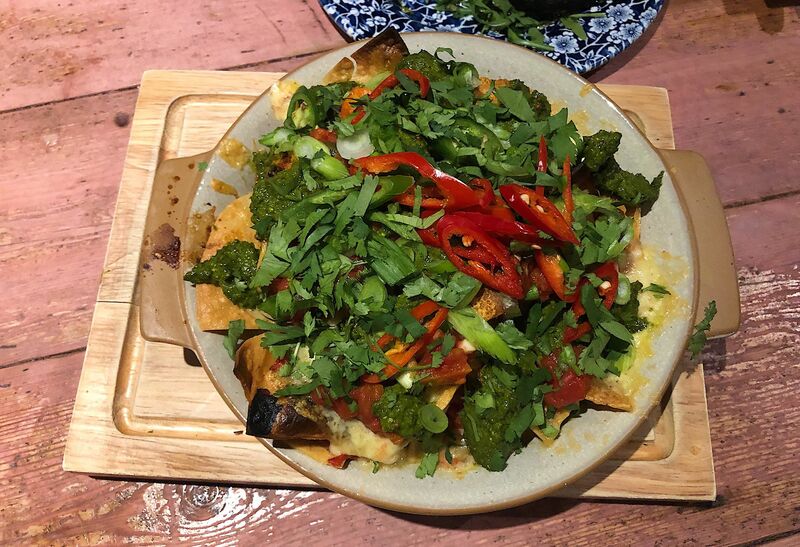 First up was the Ninety-Nine nachos. 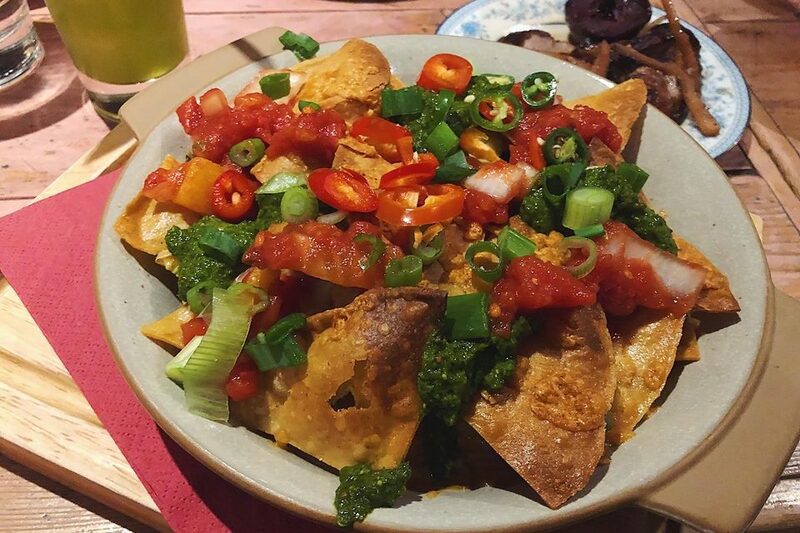 A big portion, the melted cheddar cheese made its way through every crevice of the crisp nachos. 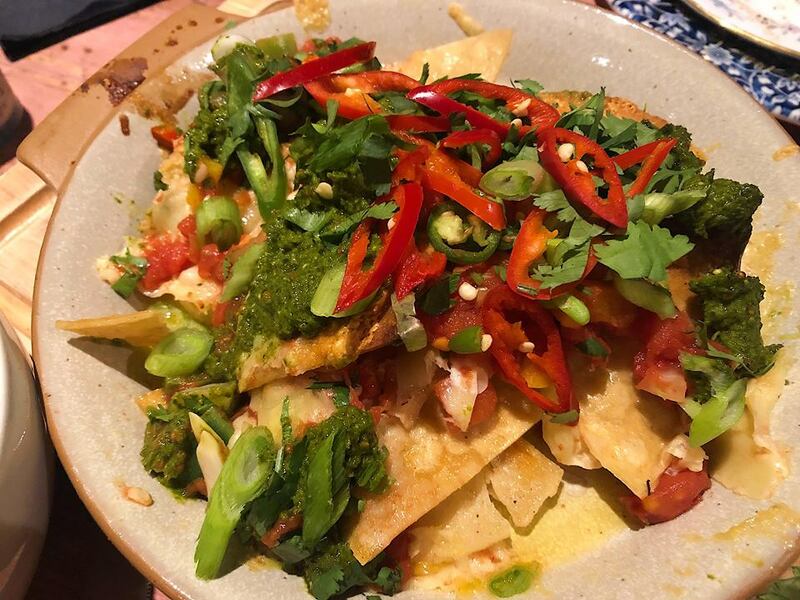 Topped with salsa verde, chopped tomato and red and green chillis, the dish not only looked the part, but it tasted it, too. The fresh chillis brought a fiery heat, which I liked, but I soon had to retire from eating them as my mouth was on fire. A vegetarian dish, it could also come as a vegan option too. My next dish was by far my favourite. The Singularity SOS hot sauce chicken wings. 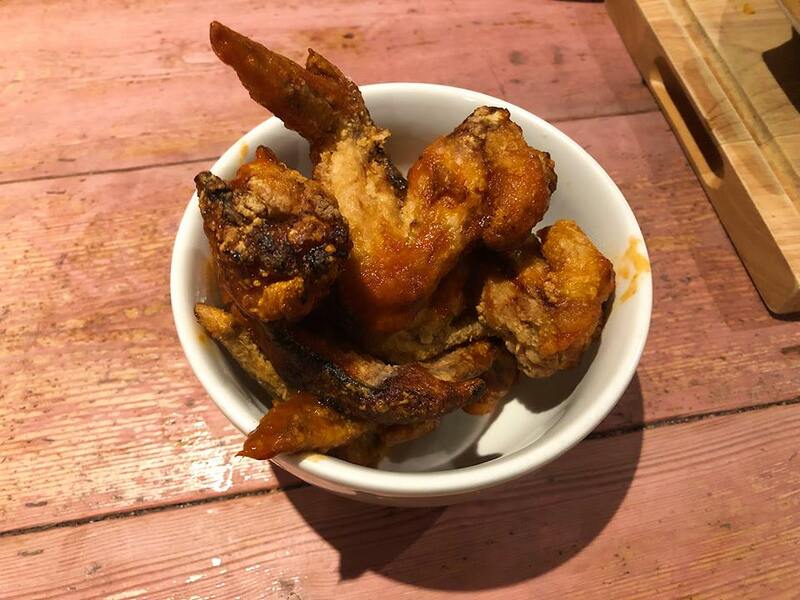 Although they looked quite dry, the chicken was incredibly succulent and the crisp skin was divine. It tore away from the bone so easily and boasted a beautiful hot sauce which really excited my taste buds. This was one of the best hot sauces I’d tasted and knowing it was made by a local producer Singularity Hot Sauce, made it taste that little bit more special. A definite must-try in my view. My friend opted for a few different vegetarian dishes primarily. 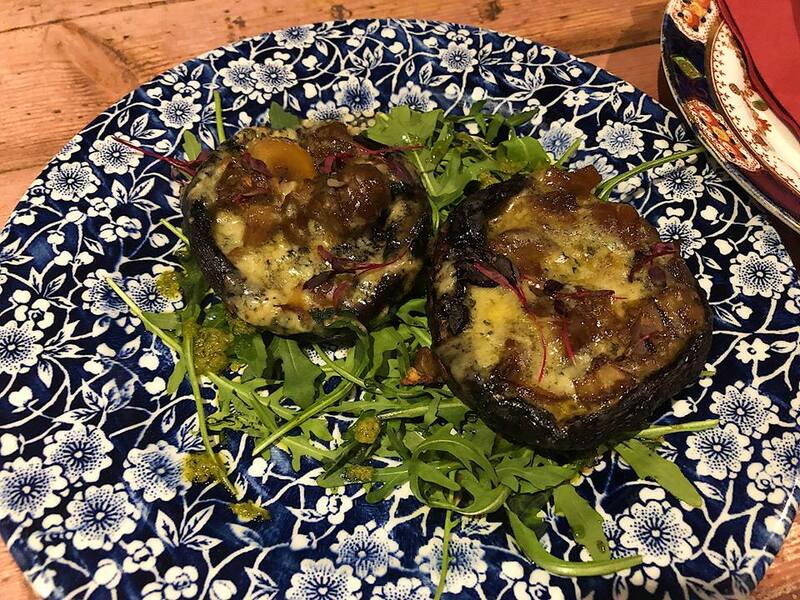 Her Portobello mushrooms stuffed with blue cheese and chestnuts were so soft and melt-in-the-mouth. The pungent blue cheese perfectly paired with the earthy yet sweet mushroom and it all just married together as an explosion of flavour. 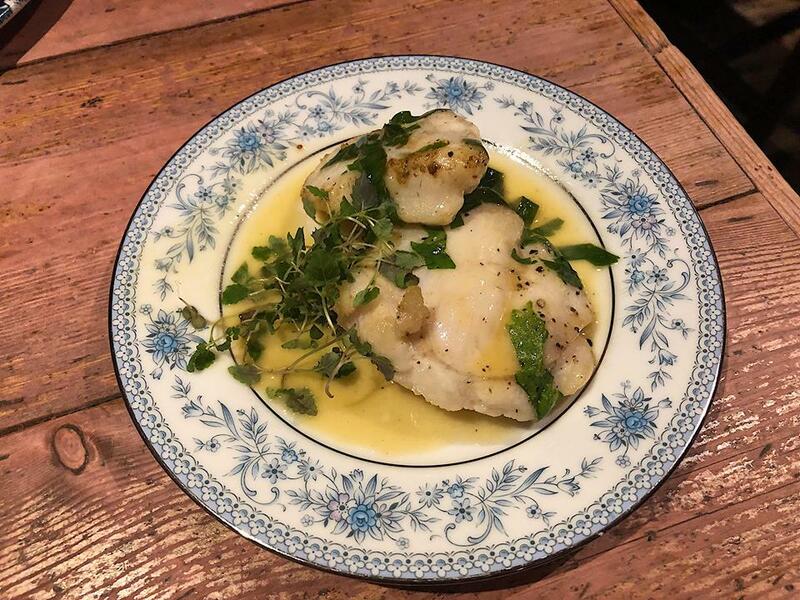 I also tried out the monkfish cheeks with vermouth and parsley as my final tapas dish – the ARW menu offers three tapas plus dessert for £20. The monkfish cheeks were cooked very well and my knife slid through them. The parsley added a herby taste to the dish but I wasn’t overly fond of the vermouth sauce that it came served in. Buttery with a creamy hint to it, I realised I should have veered away from the white sauce and stuck with the hot sauce. 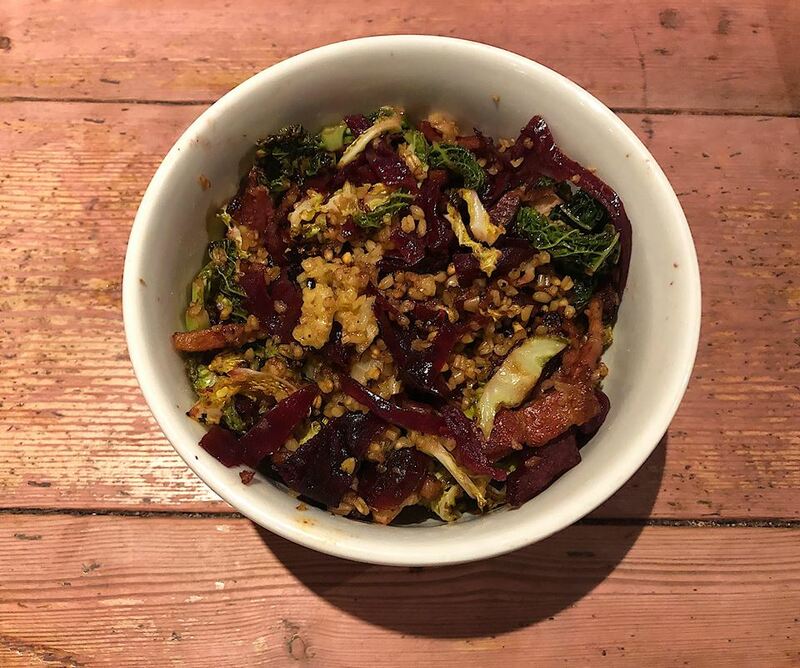 The cabbage boasted a mix of textures from the crunchy cabbage and savoy and the chewy, ever so slightly salty, bacon pieces. The skirlie was delicious and she very much enjoyed it. 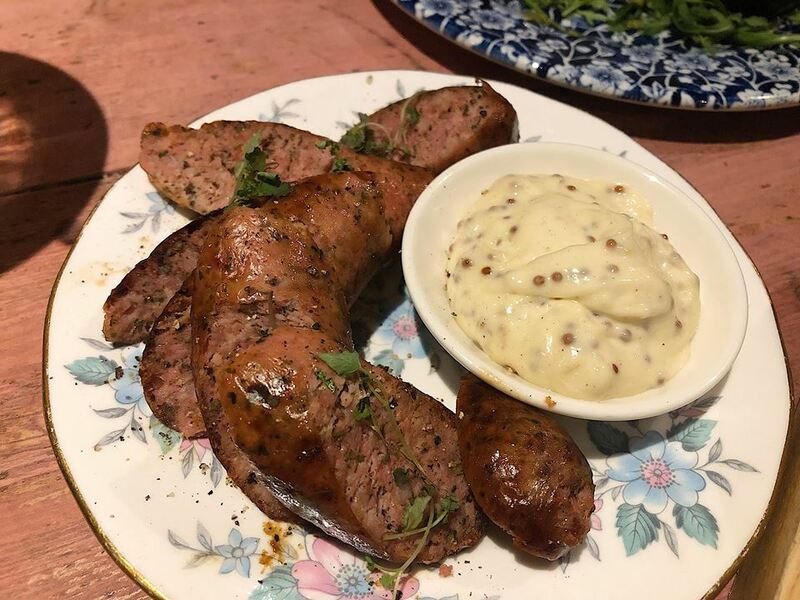 The Toulouse sausage was the stand out dish for her. Served with a side of homemade dijon mustard, the herby, beer-soaked pork was packed with flavour and got the thumbs up from us both. Fragrant and chewy, the sausage was perfect for picking at and went very well with the mushroom and cabbage dishes. As part of the deal, rowie and butter pudding was served as dessert. A huge slice of the pudding was plated up and served to us. The slice could easily have been shared, but I think we were both secretly happy we got a piece each. 99 Bar and Kitchen is not just a good place to frequent to for tasty cocktails, but a cracking establishment for food, too. 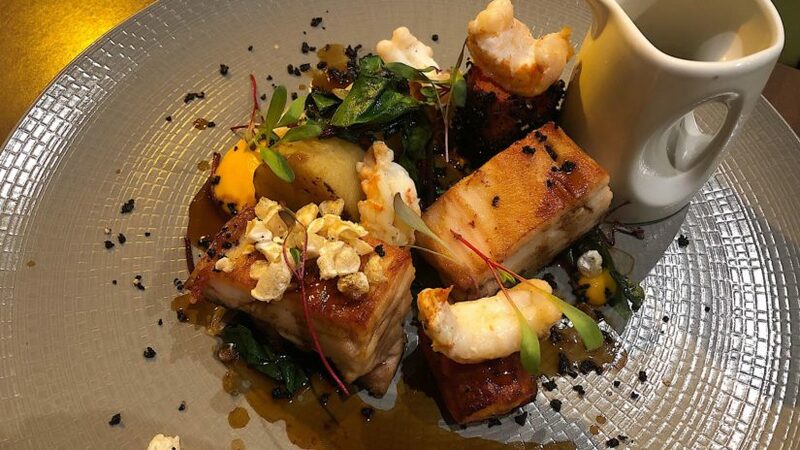 The menu for Aberdeen Restaurant Week has a bit of everything on it and will allow you to try new thing,s as well as enjoy classic favourites. 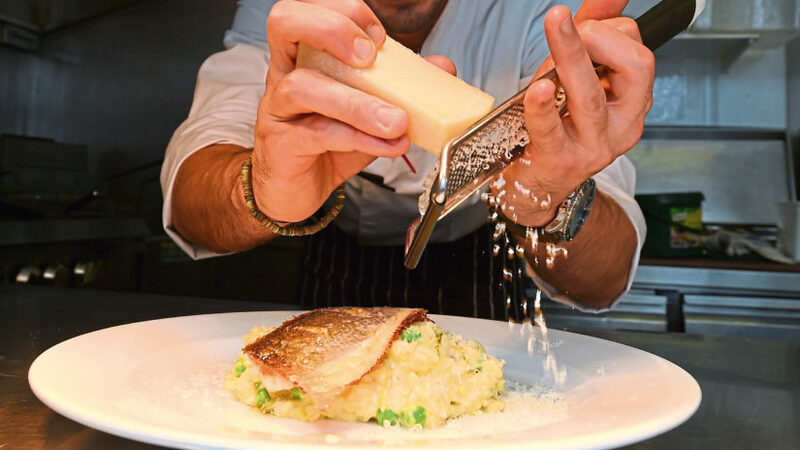 From Shetland mussels in a Bloody Mary sauce to warm olives and Aberdeen Angus hanger steak, you’re guaranteed to find a number of dishes you’ll enjoy. Why not share six tapas between two and indulge in even more choice. Oh, and definitely get a slice of that rowie and butter pudding!